The more we use our smartphones, the more storage space becomes occupied—it's an inescapable fact. But as the data accumulates and chokes off our storage, it can become difficult to identify exactly which files are occupying the most space. So the development team at Nexrad Software came up with an app that puts a unique spin on file browsing. In sorting files by size and presenting the results in an easy-to-read format, their app can make short work of identifying and deleting the largest files that are stored on your system. 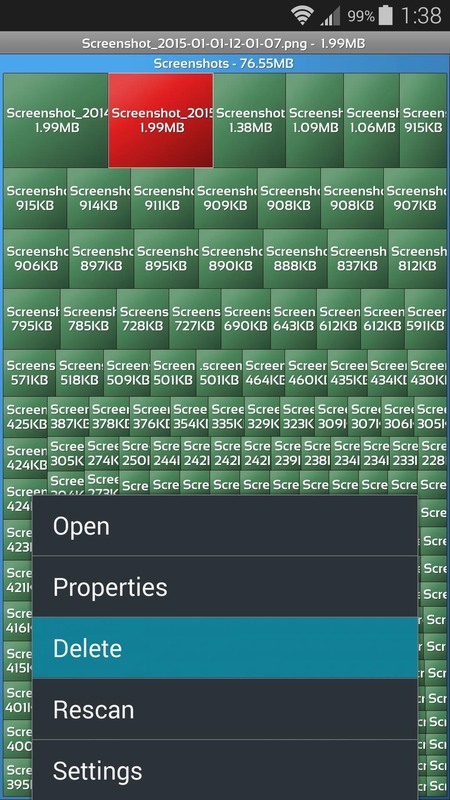 Nextrad's unique file browser is called DataSize Explorer, and it's available on the Google Play Store for free. Search the app by name to get it installed, or head directly to the install page here. When you first launch the app, you'll see a menu of options. 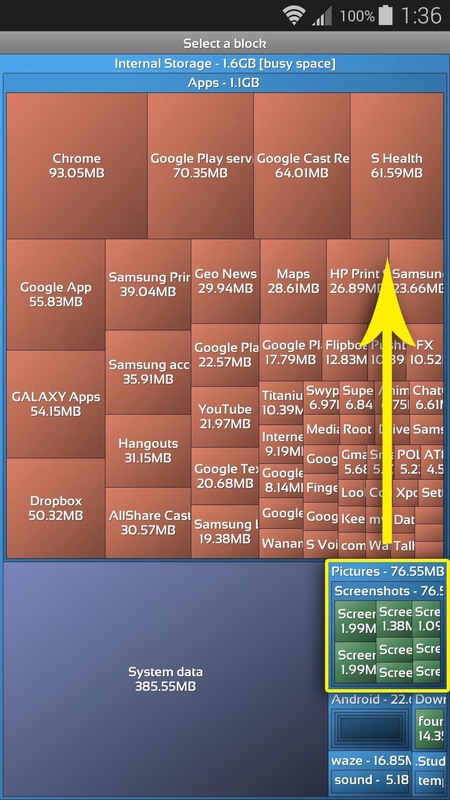 Tap "Scan" here, then the app will diagnose your internal storage partition or SD card. 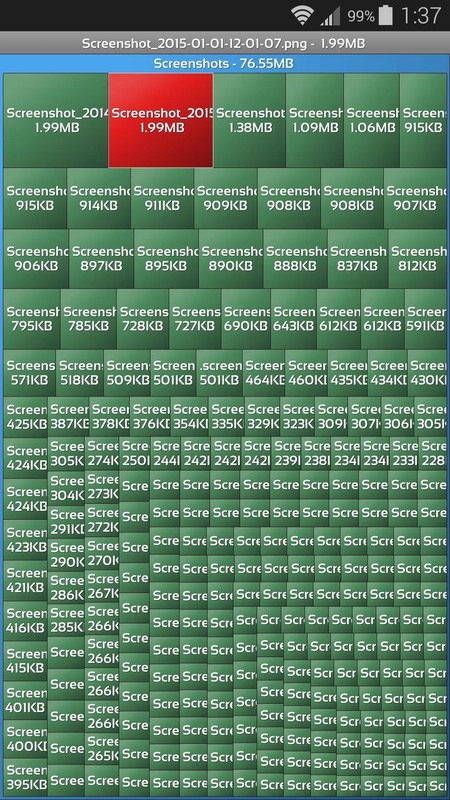 The results are sorted by file size, and they are incredibly easy to interpret—the larger the square, the larger the file. 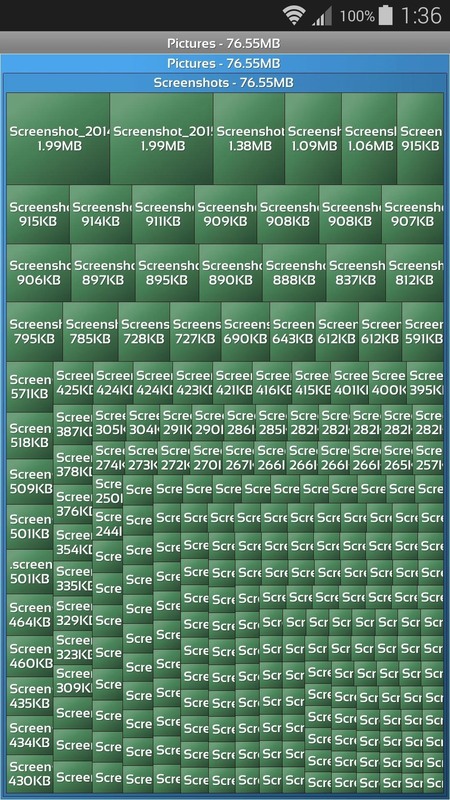 A color-coding system is applied here as well, with green denoting files, salmon for apps, and blue signifying folders. If there's a folder that you would like to see in more detail, simply tap it, then swipe up to expand the view. 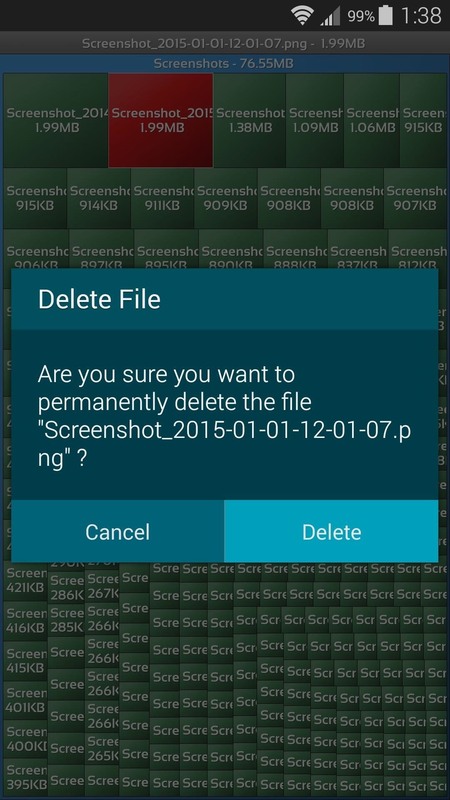 Within the folder, find the largest file and tap it to select it. From here, use your device's hardware menu button (on the Galaxy S5, long-press the "Recent Apps" button) to view options. From here, simply choose "Delete," and that space-hogging file will be removed posthaste. In the end, DataSize Explorer makes identifying and deleting large files easier than ever. 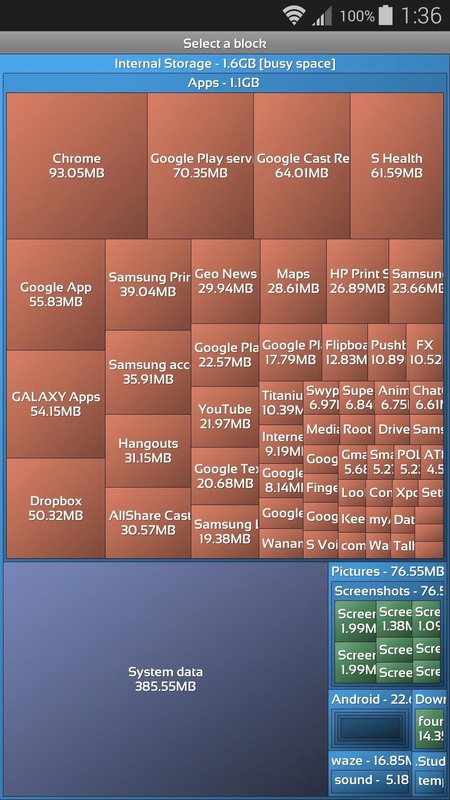 How much space did you free up with this app? Let us know in the comment section below, or drop us a line on Facebook, Google+, or Twitter. And if you ever accidentally delete something that you want back, if you're rooted, it's possible with Undeleter for Root Users.